Combining the radiance of elegant design and architecture using earth tones blending harmoniously with the surrounding natural habitat and our dedicated staff ready to provide you with a warm welcome as well as professional and personalized hospitality promises a truly memorable stay at Astro Palace Suites & Spa Hotel. Astro Palace Hotel & Suites is situated in an idyllic location, only a short walk from Fira and the caldera . 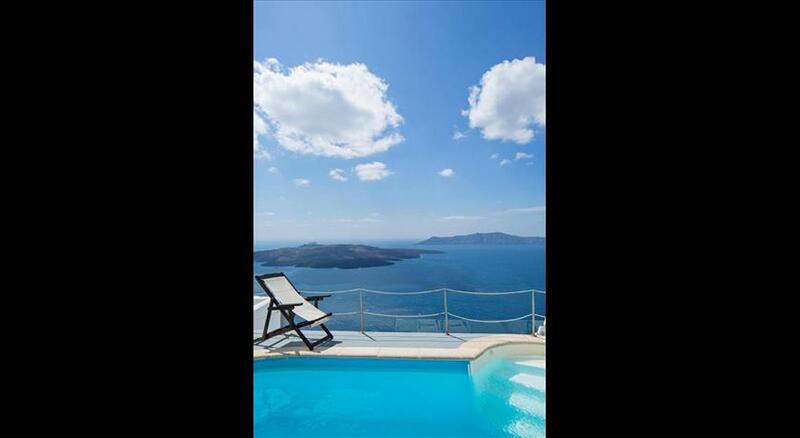 It offers a wellness centre, a swimming pool and rooms with unobstructed Aegean Sea views . 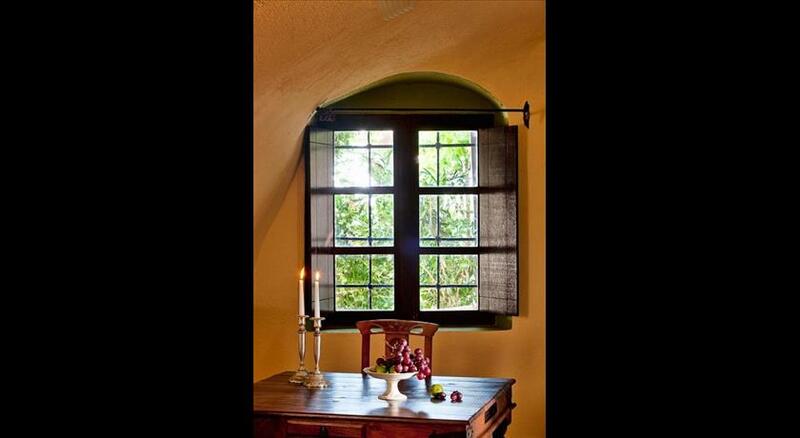 The elegant, air-conditioned rooms combine contemporary design with traditional architecture. They are fitted with a satellite LCD TV and minibar, while some also have a spa bath or private pool. Each room also has large balcony or terrace overlooking the Aegean and free Wi-Fi. Guests can use the well-equipped gym, the hot tub and the sauna or relax at the sun beds by the swimming pool. Cassiopeia Spa’ provides a wide selection of massages, facial and body treatments. Pleiades restaurant serves a variety of menus all day and guests can combine their meal with a wine tasting experience, while they are enjoying stunning views of Aegean Sea. Refreshments and snacks are provided at the pool bar. 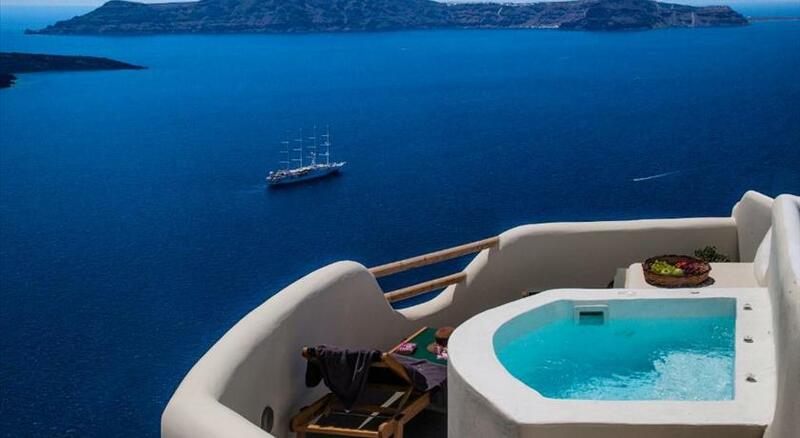 The hotel is just 5 km from Santorini Airport and 8 km away from Santorini port. Laptops and i-pads are available upon request and free private parking is available near the premises.